One of the best mid-season porcelain garlics available. Garlic lovers unabashedly describe it in majestic terms as having "nobility, grace and sublime character." 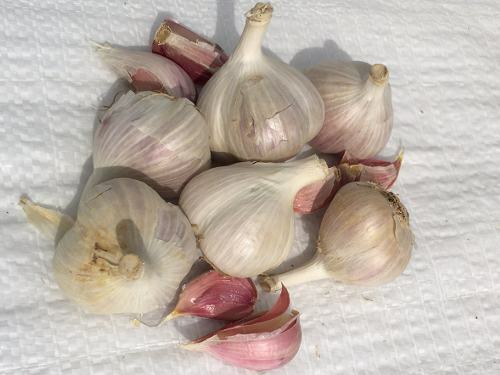 It was developed from a chance mutation of a rocambole garlic by Ontario garlic grower Paul Pospisil, and was first introduced to the market in 2002. Bulbs reliably reach 5-7cm in diameter, even after cold winters, with 4-6 cloves per bulb. Good mild flavour.